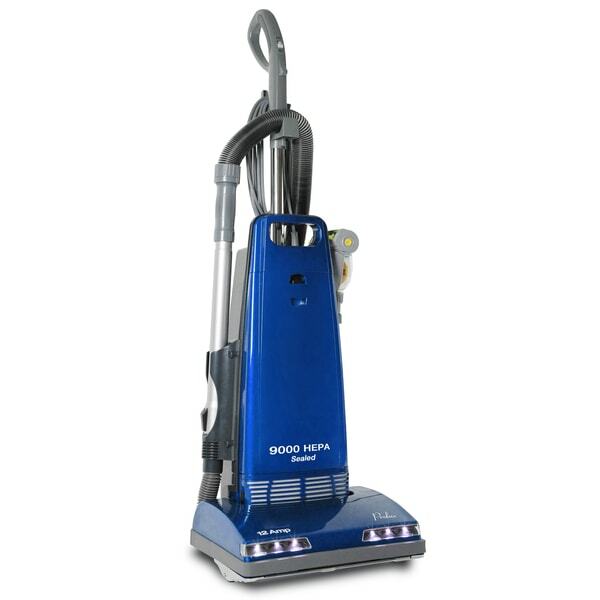 The Prolux 9000 Sealed HEPA Vacuum uses a powerful, deep-cleaning, 125 CFM, 12-amp, thermal-protected, sealed motor. Designed to deep clean all types of carpet, it comes with a floating head that automatically adjusts to its intended surface. Its hardy construction is designed to last for many years, with a steel bottom plate, an oversize hose, a steel brush roll, a sealed motor chamber, LED lights, aluminum wands, and sealed, hospital-grade HEPA filtration. Extension wand: extends onboard hose to 12 ft.
"What are the bristles composed of on the attachments - natural bristle? plastic? nylon?" The bristles on the attachments are made of a soft nylon material.